Get situated in the Windy Hill Dunes 403 beach vacation rental condo and resort as your family enjoys oceanfront views from this luxurious North Myrtle Beach, SC vacation condo that overlooks the oceanfront pool deck and its lazy river. Windy Hill Dunes is a North Myrtle Beach, SC high-rise complex on the Atlantic coast. Featuring a lovely swimming pool and an exciting kiddie pool, the Windy Hill Dunes resort offers family fun at the beach. Featuring an eight-story parking garage with a glass breezeway, the Windy Hill Dunes resort has an oceanfront lawn, easy beach access and several elevators to move you up to your beach vacation rental condo. 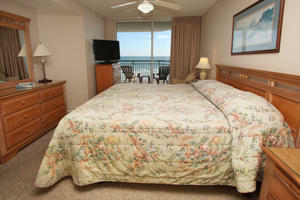 The Windy Hill Dunes 403 beach vacation rental condo is an accommodating vacation destination. 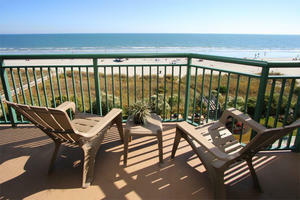 This North Myrtle Beach, SC beach vacation rental condo sleeps up to eight people. There are three private bedrooms and a sleeper sofa in the living room at the Windy Hill Dunes 403 beach vacation rental condo. This North Myrtle Beach, SC unit boasts of a Jacuzzi tub, high-speed Internet access and numerous flat-screen TVs with DVD players. The TV in the living room is a 50-inch plasma on which you will just love watching your favorite episodes. The home theatre surround sound entices you to watch movies while on your vacation getaway, too. A washer and dryer are provided for you. For your convenience, there is also a fully equipped kitchen with full-size appliances. The Windy Hill Dunes resort has a fitness room on the second floor that the guests of the Windy Hill Dunes 403 beach vacation rental condo are welcome to use. In close proximity to the Windy Hill Dunes, SC resort are seafood restaurants where you will find fresh fish on the menu, outlet malls where you will uncover hidden treasures and family attractions where everyone will discover the best of the Grand Strand. There are live entertainment theatres throughout Myrtle Beach, South Carolina. Pull up a seat at The Carolina Opry, The Alabama Theatre, The Palace Theatre, Pirate's Voyage and more. There are also more than 100 Myrtle Beach golf courses that offer challenging fun on the range. Eagle Nest, TPC and Wicked Stick are just a few of the Myrtle Beach, SC golf courses that you may want to investigate. Make your next beach vacation a luxurious experience and reserve your getaway at the Windy Hill Dunes 403 beach vacation rental condo and resort for a memorable stay on the Myrtle Beach, SC oceanfront.